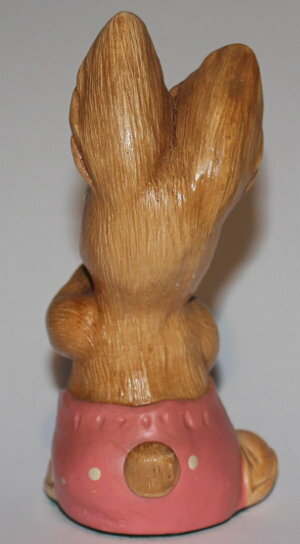 Retired PenDelfin Phumf rabbit designed by Doreen Noel Roberts. 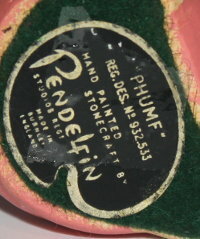 Phumf was produced by the PenDelfin Studios in England from c1967 until 1985. This Phumf is wearing salmon pink coloured trousers. 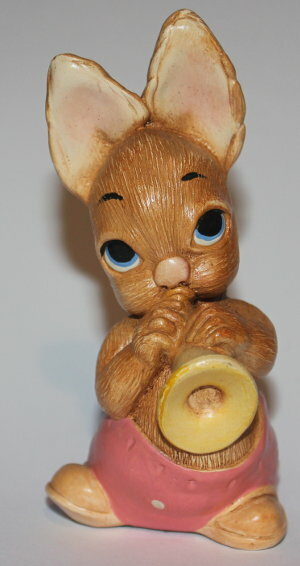 He is an early member of the PenDelfin band, and would stand happily on the Bandstand or Concert Stand. On his base this PenDelfin rabbit has his green felt and PenDelfin artist palette, Phumf, label. Condition: Excellent overall condition. A really lovely example of this early PenDelfin model. He is perfect for the original PenDelfin Bandstand!